i see my awesome husband out working in the yard…a yard that needs a ton of work! about this summer…the first summer since probably middle school where i have not had some sort of job. (other than photography) i’m thinking lots of trips to the park with leland, gardening, some time in the pool …..i am excited to say the least! my parents. and my family. and jay’s family. they are all thee best. that i am only 21. and because i am only 21 i don’t need to fast forward life any but truly treasure each and every day. the past two years have gone by so quickly and i want to enjoy these days. a fishtail braid… (see pictures below.) there is an awesome tutorial on how to do one here. on a date on friday night with jay! we’re going to see john mark mcmillan. galaxies by owl city and jack & jill by katie herzig. to win the lottery. haha just kidding (i don’t believe in the lottery) but i am hoping that we stay disciplined with our budget. we’re changing up some things. well, mainly only the spare bedroom/computer room. going to paint and re-dcorate! yipee. is spending time with jay and leland, late at night. i mean, pretty late. leland doesn’t usually have a bedtime- he is usually up till we’re up. we laugh so hard and play some music…love it! a date with jay. time outside. a dear friend & i are taking maternity pictures on saturday for a local pregnancy center which i am so excited about! so jay snapped a few pictures of me the other day in a field we drove past…a very pretty location and beautiful scenery. will definitely be using this location for clients in the future! Nice post! And you are so pretty! thanks for the prayers for my prescription and side affects, i truly appreciate your prayers. You my dear one, are gorgeous-inside and out! Yowza! Oh, and Leeland? Two of my daughters absolutely love that band, they are going to see them in Portland OR in a few weeks…awesome band…what a cute name too!!! Love what your wearing! So pretty. Love the fishtail braid…. I love that Free People shared that. Good find! Beautiful photos!! I’m looking forward to the summer too–though our summers will be quite different. No outdoor pool for us, but lots and lots of sunshine! Hope you have a wonderful day! Where did you get your dress? Just curious. It is SO cute! :) Love your blog. I wonder if my hair is long enough to do a fishtail braid…. they look gorgeous and yours looks lovely on you! the braid looks beautiful, love that dress. i wanna be one of your clients! Wow, love the photo’s, your hair and dress and vest just look so perfect together:) All the best with the re-decorating!! 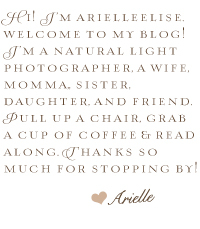 I just found your blog through a friend, and I just love it! you are so cute. I enjoy your posts. Have a great day! Aaron and I are working on the budget thing too! :s Yikes, it is always harder then it sounds! haha Your hair looks beautiful like that! Great photos!!! You’re pictures are an inspiration!! love the vest you are wearing in the photos! will you share where it is from? I love reading your daybooks! :) Is it okay if I still the questions & do one of my own sometime?! Thanks for the fishtail tutorial! It’s nice to have a stylish alternative to the daily ponytail. My hair is really thick and long and Brees has recently discovered how to use it as her own personal jungle gym/chew toy/spit up rag! Which means I find myself pulling it up more and more:) Beautiful pictures as always!!! i know many others have said it, but i will say it again..i love the fishtail braid! so pretty! oh…i’ve wanted to ask for a while and keep forgetting: are you a self taught photographer or have you taken lots of classes? p.s i know you aren’t a fashion blogger, but you’d be really good at it. you totally have the fashion part down, for sure. ;-) love your style! Those pictures are great. 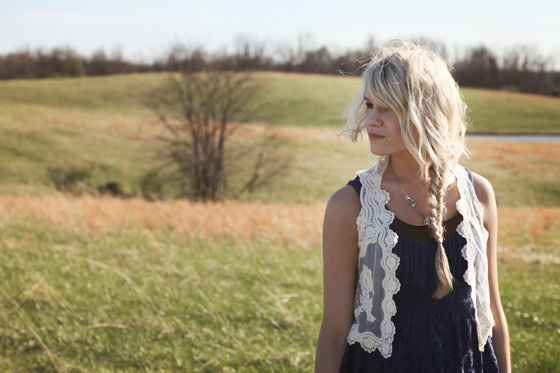 That field is beautiful & I love the fishtail! It’s wonderful that you are taking pictures for the pregnancy center. What a blessing to those women!? Arielle, you’re absolutely adorable! I can’t believe you’re only 21! And you have a hubby and a baby- how precious! I cannot wait for that season of my life. So exciting! Your photos and posts always have a serene quality to them that I really appreciate – it’s a comforting break from fast-paced days. you are only 21?!? wow, you seem so much wiser than I was at 21. how lovely!! Love the fishtail braid, gorgeous pics. Lovely post :) have a great weekend! EEEP! 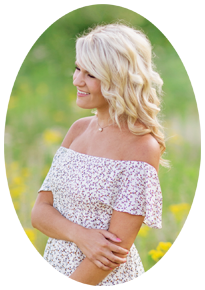 I love finding new beautiful blogs, especially from Lord Lovin’ gals. Thanks for making my Friday a little bit brighter! I have always wanted to learn how to do a fishtail…let alone a french braid. Never been good at learning them. Don’t you love redecorating a room? It’s so much fun to change things up even if it’s the same furniture, but in different places. Hope you have a great weekend, date and photo shoot!! I have forgotten about the fishtail braid! I’m going to have to bring that one out again! Love the fishtail braid! i need to learn how to do that. And i LOVE that 2nd photo of you,it’s amazing. Hey, all the way from south africa and just wanted to say that you have a beautiful and inspiring blog:) thanks. Love this post. I remember doing fishtails to my dolls hair when I was little. So, fun. I love this post! Your pictures (and you) are so pretty. I also did a “daybook” this week, come check it out! I’ve been wanting to do this thing! You look SO unbelievably gorgeous! So glad you found my blog because you led me to YOURS which I’m completely in love with but you probably already know that. Love this! I’m hoping to win the lottery, too ;-) Hope you had a great weekend! yes, i am so excited to be re-decorating…it’s much needed! thank you so much, many blessings to you! thank you jess :) blessings! thank you so much kelly for the encouragement! it’s definitely a blessing! thank you again! :) have a beautiful sunday.